Britannica Online School Edition The original encyclopedia! Provides current information on just about everything you can imagine: people, places, events...things. Also contains a thesaurus, dictionary, and atlases. Explora for High School Explora for High Schools includes ERIC, Funk & Wagnall’s New World Encyclopedia, Middle Search Plus, MasterFILE Premier, Health Source-Consumer Edition, Military and Government Collection, MAS Ultra-School Edition, Business Source Complete, Literary Reference Center, GreenFILE, Academic Search Complete, Topic Overviews 6-12 and the statewide EBSCO and Project Gutenberg e-book collections. Newspapers (ProQuest) Full text of more than 500 U.S. and international news sources. Includes The New York Times, Wall Street Journal, Boston Globe, and the Times of London, plus hundreds of other news sources and news wires. To get started, try searching for phrases like TEEN DEPRESSION or ADOLESCENT ANXIETY. Also try searching for any of the key terms found throughout this guide (OBSESSIVE COMPULSIVE DISORDER, PANIC ATTACKS, GENERALIZED ANXIETY DISORDER, etc). Charlie, a freshman in high school, explores the dilemmas of growing up through a collection of letters he sends to an unknown receiver. A traumatic event near the end of the summer has a devastating effect on Melinda's freshman year in high school. Includes bonus material and a new forward by the author. Told in alternating voices, when Theodore Finch and Violet Markey meet on the ledge of the bell tower at school, both teetering on the edge, it's the beginning of an unlikely relationship, a journey to discover the "natural wonders" of the state of Indiana, and two teens' desperate desire to heal and save one another. New York City teenager Craig Gilner succumbs to academic and social pressures at an elite high school and enters a psychiatric hospital after attempting suicide. Seventeen-year-old Aysel's hobby--planning her own death--takes a new path when she meets a boy who has a similar plan of his own. 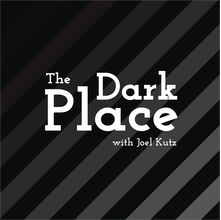 A podcast where everyday people share stories about depression, anxiety, trauma, mental illness, and any pain that feels too taboo to talk about elsewhere. 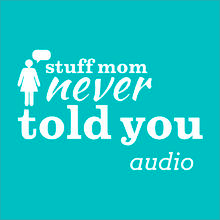 Hosted by Cristen and Caroline, Stuff Mom Never Told You is the audio podcast from HowStuffWorks. In this episode they tackle the topic of OCD.